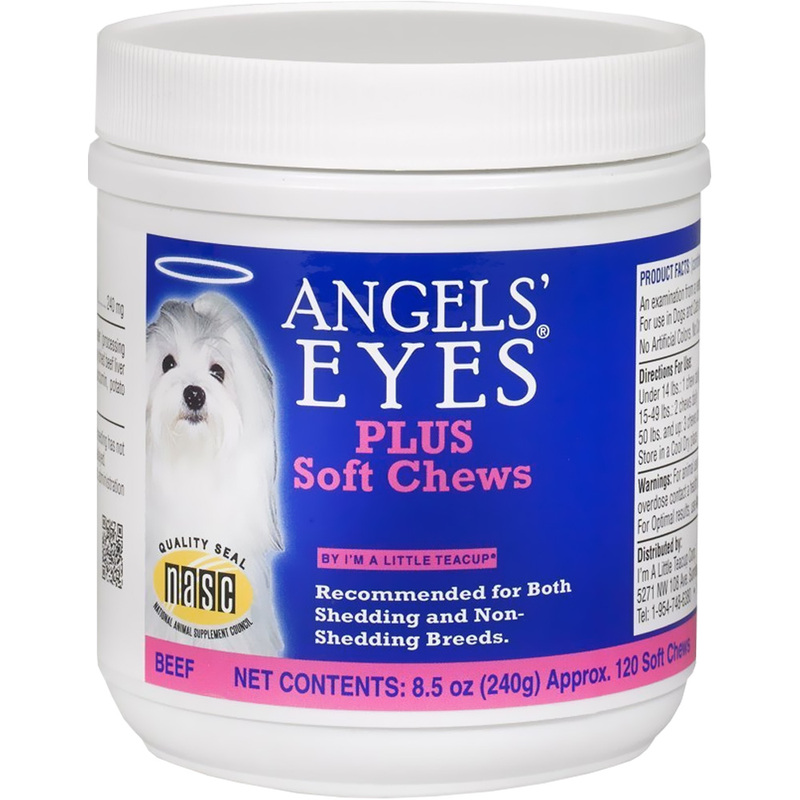 Angels' Eyes Plus Beef Flavored Soft Chews these tasty chews can be given to dogs and work for both shedding and non-shedding breeds. 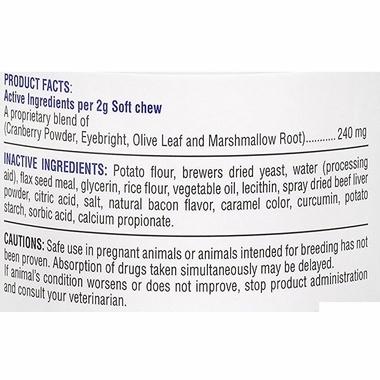 They’re highly palatable with natural bacon and beef liver flavors—just give your pet the treat, and it will go to work from the inside out. This tear stain formula has a proprietary blend of active ingredients, including cranberry powder, eyebright, olive leaf and marshmallow root, which have been shown to support eye health and eliminate tear stains. 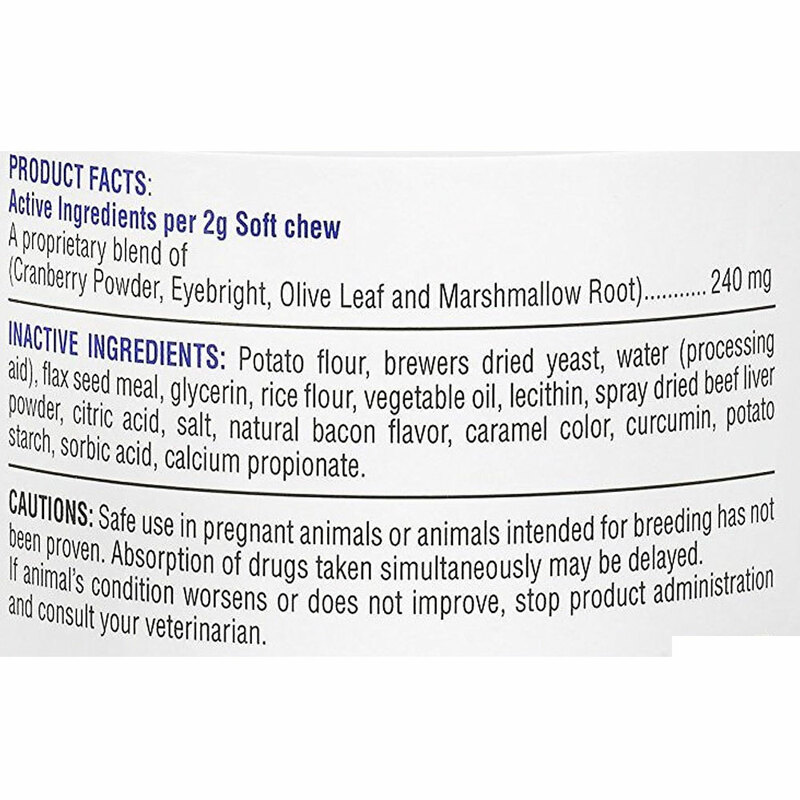 Angels’ Eyes chews are proudly made in the USA and contain no food dyes, corn, soy or wheat. Warnings: For animal use only. Keep out of reach of children and animals. 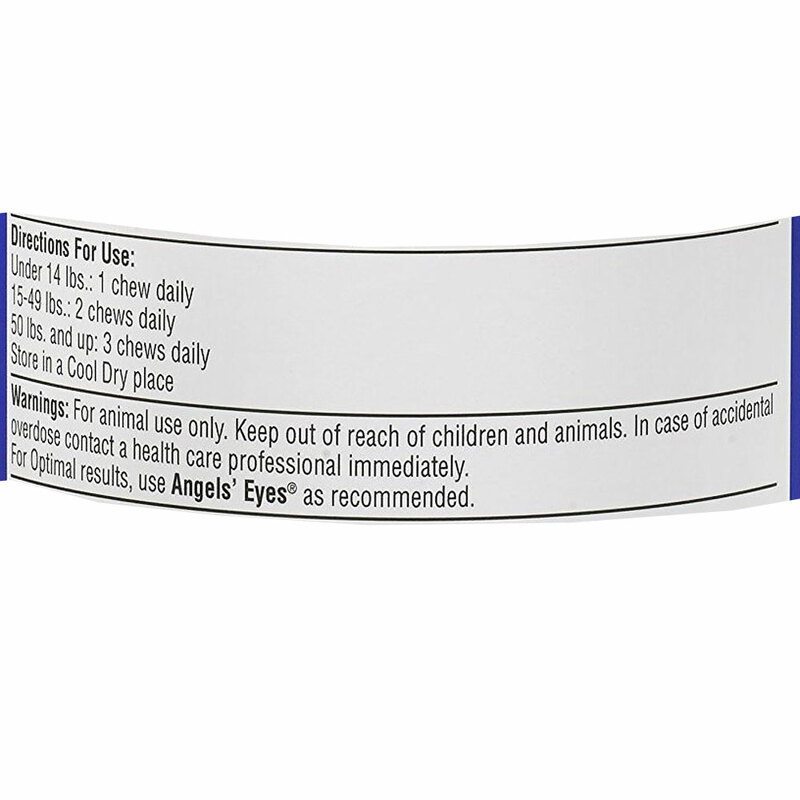 In case of accidental overdose contact a health care professional immediately. 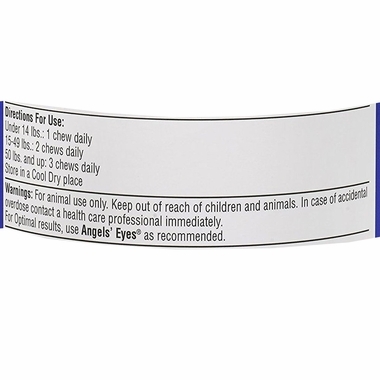 For Optimal results, use Angels' Eyes® as recommended.